There's no TV show that stands out quite like American Horror Story. With its crazy characters and nightmarish storylines, there are countless costume ideas hiding in its episodes. With the premiere of this year's new season, American Horror Story: Freak Show, there's a variety of freakish humans to inspire your Halloween style. Fortune teller Maggie Esmerelda (played by Emma Roberts), who appears both pretty and pretty normal when compared to the rest of Freak Show's frightening cast, is one who hides secrets like her fellow circus stars. 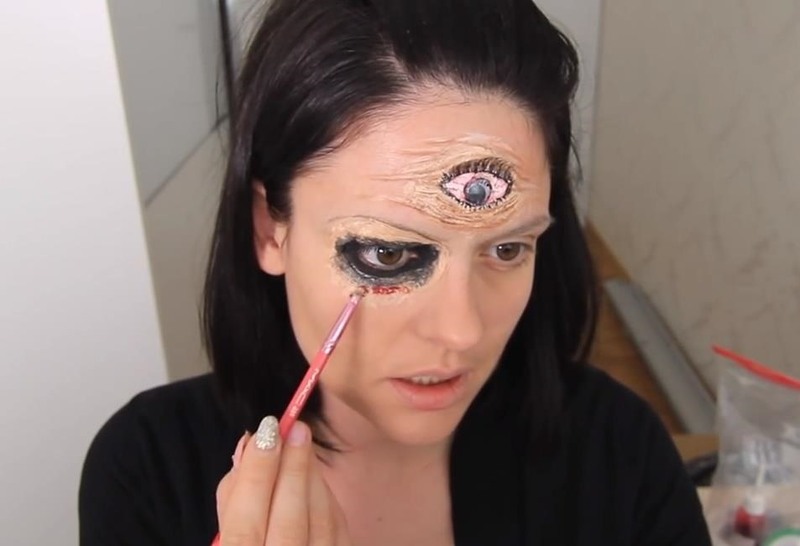 SmashinBeauty, who's known for her YouTube makeup and costume tutorials, offers tips on how to create an American Horror Story-worthy fortune teller based on Maggie Esmerelda's look this Halloween. While it's not the same look as seen in the show, it's definitely something that could be at some point. Who knows what'll happen. Being a fortune teller is all about sight, and, appropriately, SmashinBeauty focuses her recreation of Maggie on both fake and real eyes. 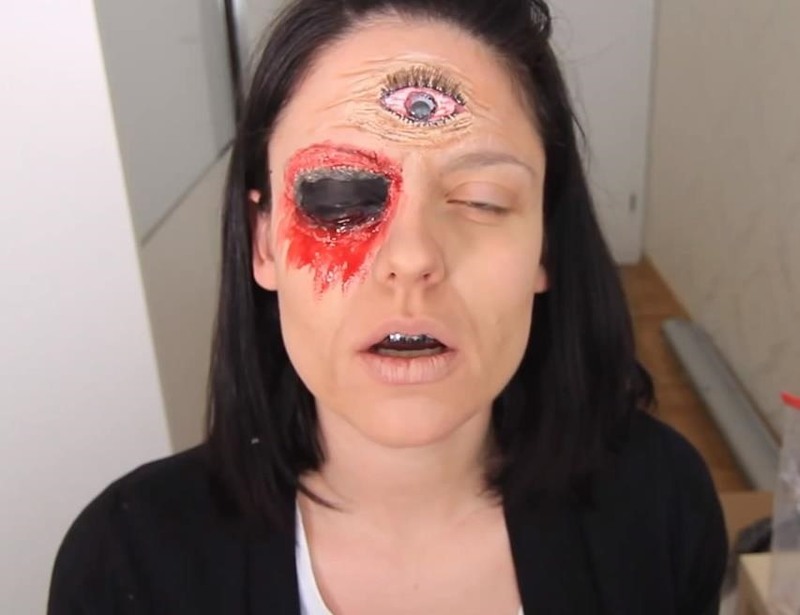 With the addition of a third eye and a bloody yet dark and empty socket, "seeing" becomes eery and frightful. With this take on Maggie, you'll be sure to turn heads on Halloween, even if you can't quite tell others' futures. Join together with your friends to create an extra freaky group costume: encourage them to dress as other characters from Freak Show's circus, such as bearded woman Ethel or deadly Twisty the Clown. Together, you'll be even scarier!